India’s PSLV rocket successfully lifted the country’s fifth IRNSS navigation satellite to orbit on Wednesday in a final push to establish the operational seven-satellite constellation, to be completed in the next three months. 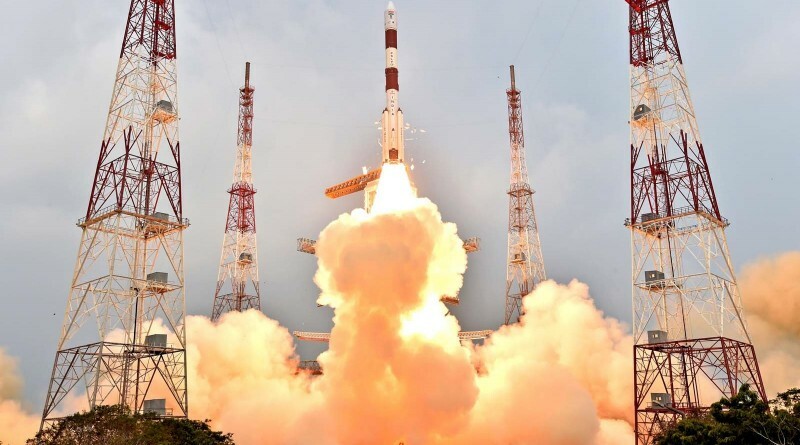 The four-stage rocket, using its most-powerful XL configuration, blasted off from the Satish Dhawan Space Center at 4:01 UTC and headed to the south-east in an ascent mission lasting 19.5 minutes aiming for a sub-GTO orbit from where the satellite will make its way into Geosynchronous Orbit. 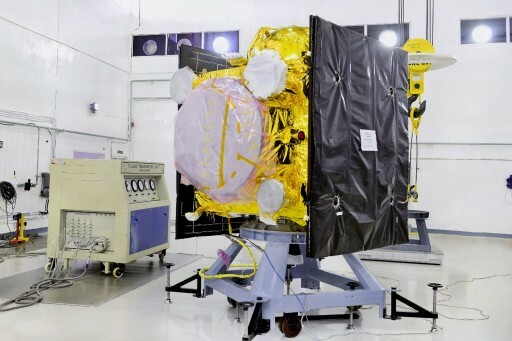 The IRNSS-1E satellite, weighing in at 1,425 Kilograms, is setting sail for an inclined Geosynchronous Orbit at 111.75 degrees East in a constellation spread from 34°E to 132°E with three satellites stationed above the equator and two pairs of satellites in inclined orbits in order to deliver continuous coverage to the Indian territory and surrounding areas. Unlike the other navigation systems such as GPS, Glonass and Galileo, the Indian Regional Navigation Satellite System utilizes a simple architecture of only seven spacecraft instead of close to 30 needed for global coverage. 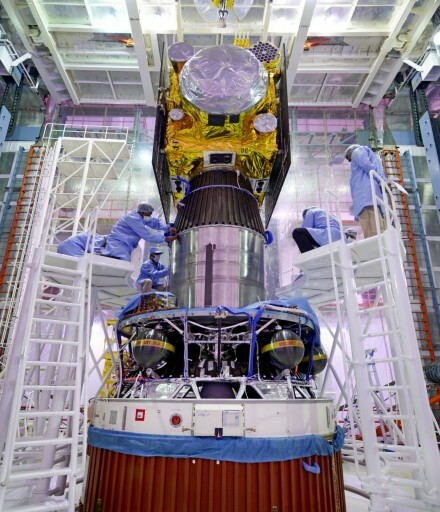 IRNSS is designed to be compatible with the US Global Positioning System and Europe’s upcoming Galileo constellation using navigation signals in S-Band and at L5. Each satellite hosts a highly accurate Rubidium atom clock that is used to generate the precise timing needed for conditioning navigation signals. IRNSS will offer a standard service free of charge to users while a Restrictive Service with higher accuracy will be available to authorized users. The system will reach an accuracy of 10 to 20 meters. When IRNSS-1E arrives in its operational orbit and begins transmitting, the constellation will be able to deliver an Initial Operational Capability (IOC) for further testing and refinement. The next two satellites in line are set for launch in February and March in a dash to the finish line, aiming to reach Full Operational Capability by the end of the first half of the year. With three launches for IRNSS alone, India is aiming for another record-setting year, continuing to push the number of annual launches that has been on the increase over the past decade. 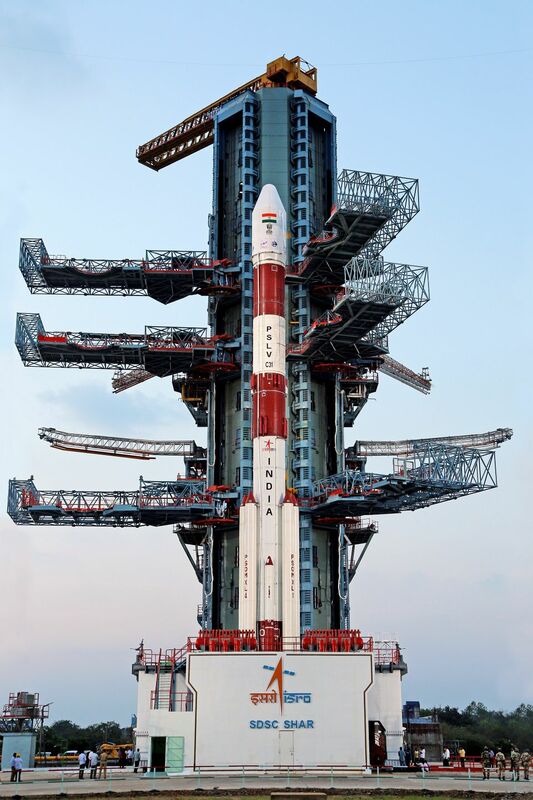 Up to eight orbital launches plus a suborbital Hypersonic Flight Experiment (HEX) are on the manifest for 2016 with six PSLV launches, a pair of GSLV missions and HEX using a dedicated vehicle. India’s flagship rocket, the Polar Satellite Launch Vehicle, leverages a combination of the raw power of solid rocket stages and the precision & maneuverability of liquid-fueled engines. 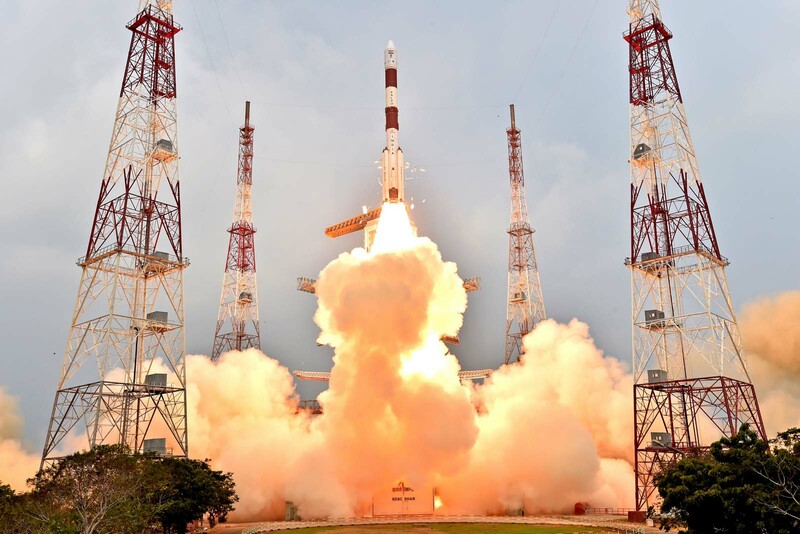 The 44.5-meter tall PSLV has built up an impressive success record with close to 30 successful flights since the rocket’s last failure in 1997. To lift the IRNSS-1E satellite to a sub-GTO orbit, PSLV flew in its XL configuration on Wednesday with six Solid Rocket Boosters clustered around its first stage for additional thrust in the early portion of the flight. 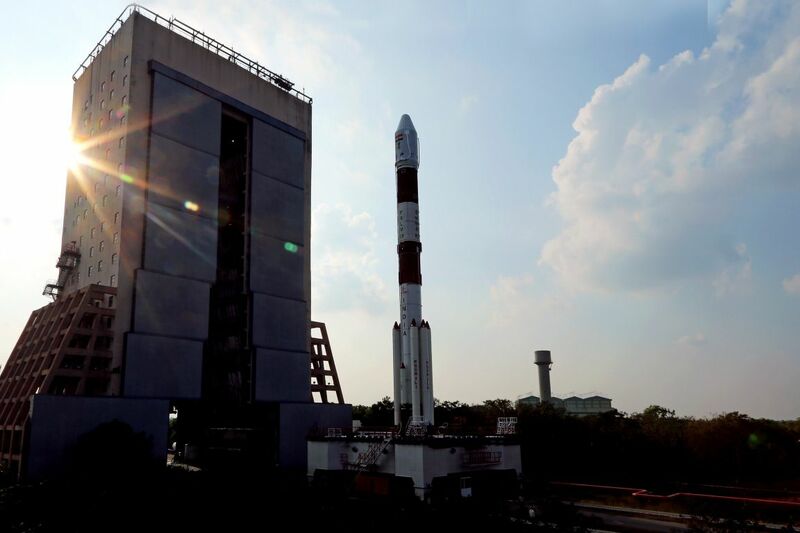 At liftoff, PSLV had a mass of 320 metric tons. 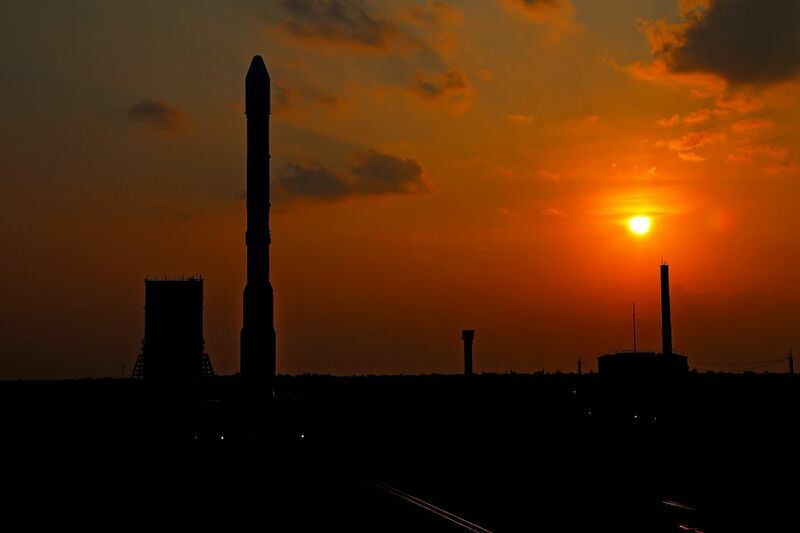 Wednesday’s launch was preceded by a two-day countdown that started Monday morning with the tanking operation on the second and fourth stages as well as the first stage roll control thrusters, all requiring a mix of hypergolic propellants, loaded into the vehicle on Monday and Tuesday. Heading into the final countdown hours on Wednesday, PSLV was closed out for flight and the rocket was revealed on its pad when the service platforms were retracted. The rocket was put through extensive checkouts and India’s tracking network was configured for launch ahead of final status checks and authorization for launch, given 15 minutes prior to T-0. PSLV initiated its terminal countdown at T-12 minutes, transitioning its flight computers to flight mode, switching to battery power and pressurizing its propellant tanks before the Real Time Program took the vehicle through the last steps ahead of ignition. With three seconds to go, PSLV fired up its Roll Control Thrusters and the first stage was ignited when clocks hit zero followed half a second later by the ignition of the four ground-lit boosters. PSLV shot off its launch pad right on time at 4:01 UTC with a total thrust of 700 metric-ton-force, rising vertically with an initial thrust to weight ratio of 2.2. 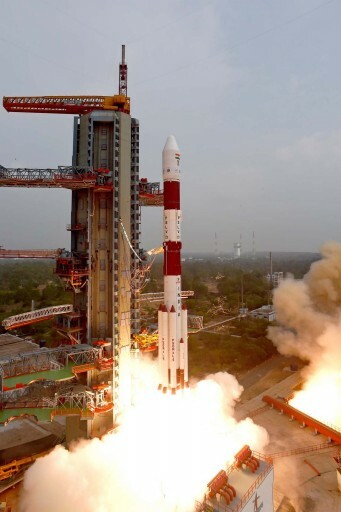 Burning through 1,600 Kilograms of propellants per second, PSLV pitched and rolled to attain its precisely planned ascent trajectory, taking the rocket to the south east for a fast trip across the Indian Ocean. Powering away from India’s east coast, the rocket ignited its two remaining boosters 25 seconds into the flight to increase its total thrust to over 800 metric ton-force. With a mass of 14,000 Kilograms, the 13.5-meter long boosters can burn for 50 seconds. To ensure a safe thrust tail-off and off-shore impact, the four ground lit boosters were held until T+1 minute and 10 seconds when they departed the vehicle in pairs. The two air lit boosters followed suit at T+1 minute and 32 seconds, leaving the PSLV powered by the 20.3-meter long first stage only. The PS1 stage consumed 138 metric tons of propellant and burned out one minute and 50 seconds into the flight with staging following swiftly to enable the second stage’s Vikas engine to ignite at T+1:53, soaring to a total thrust of 81,500 Kilogram-force. Staging occurred 56 Kilometers in altitude after PSLV had accelerated to 2.4km/s. Guzzling down 40,700 Kilograms of Unsymmetrical Dimethylhydrazine fuel and Nitrogen Tetroxide oxidizer, the 13-meter long second stage fired for two and a half minutes. Just seconds into the second stage burn, the rocket transitioned to closed-loop guidance, processing navigation data to adjust its course in order to meet the precise cutoff targets. First stage flight occurs according to a pre-programmed guidance solution with the vehicle sticking to a defined attitude profile. Three minutes and 18 seconds into the flight, the two halves of the payload fairing dropped away as PSLV had reached 113 Kilometers in altitude, making it safe for IRNSS-1E to be revealed. Cutoff on the second stage was confirmed four minutes and 22 seconds into the flight and the spent stage immediately separated from the solid-fueled third stage, having reached a speed of 5.4 Kilometers per second. PS3 ignited its solid rocket motor, burning at a thrust of 25 metric-ton-force to raise the vehicle’s speed to 7.3km/s. Thrust on the third stage tailed off six minutes and 16 seconds into the mission and PSLV headed into a coast phase, still holding the PS3 to make sure residual thrust tailed off ahead of separation. After close to six minutes of coasting, PSLV had climbed to 186 Kilometers for the separation of the third stage ten minutes and five seconds after liftoff. The liquid-fueled fourth stage started its two L-2-5 engines ten seconds after staging for a burn of eight and a half minutes. 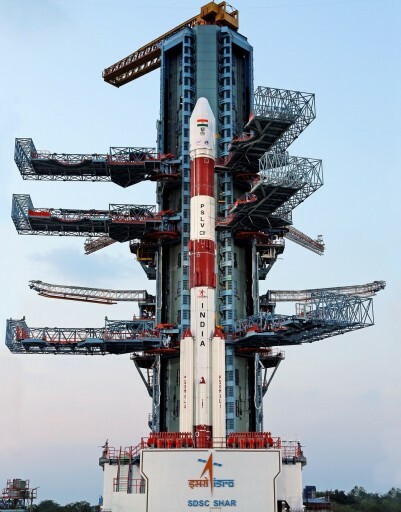 Delivering a thrust of 1,500 Kilogram-force, the upper stage of the rocket was tasked with raising the apogee of the orbit as high as PSLV’s performance allowed. As a vehicle designed to launch satellites to Low Earth Orbit, PSLV can not reach a standard Geostationary Transfer Orbit with 35,800-Kilometer apogee, so satellites have to make due with a sub-GTO orbit. 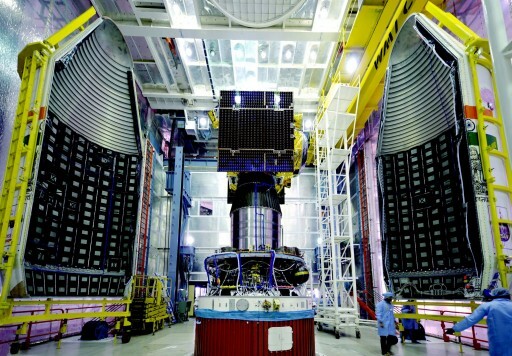 IRNSS-1E aimed for an orbit of 284 by 20,657 Kilometers inclined 19.2 degrees. The rocket hit the mark at T+18 minutes and 44 seconds, shutting down its engines after reaching an on-target orbit of 284 by 20,668 Kilometers inclined 19.2°. After fourth stage shutdown, the stack performed a quick re-orientation for release of IRNSS-1E 19.5 minutes into the flight, marking the beginning of a mission of at least ten years as one of four Geosynchronous Satellites in the IRNSS constellation. Once in orbit, IRNSS-1E deployed its two power-generating solar arrays, established communications with ground stations and entered a stable three-axis orientation using its reaction control system. Over a period of days, the satellite will complete initial checkouts and start orbital maneuvers. 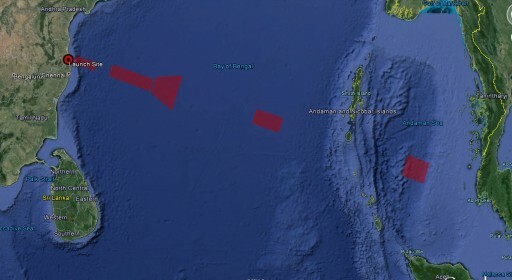 One maneuver using the Liquid Apogee Motor will be conducted at perigee to boost the apogee followed by three maneuvers that are done to raise the perigee and place the spacecraft in a Geosynchronous Orbit at 111.75 degrees East and an inclination of 28 degrees. Following more checkouts, the satellite will activate its navigation payload to join the four previously launched satellites that are already active, marking the start of IRNSS services.